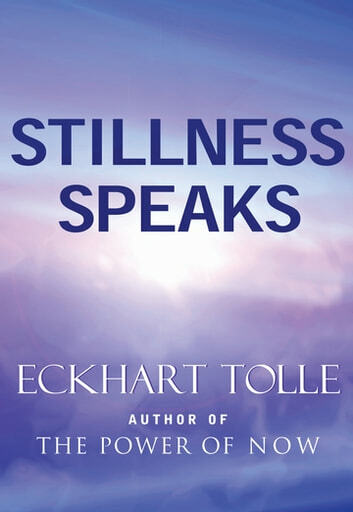 **Attaining Eckhart Tolle’s state of presence: **In Stillness Speaks, Eckhart Tolle illuminates the fundamental elements of his teaching, addressing the needs of the modern seeker by drawing from all spiritual traditions. At the core of the book is what the author calls “the state of presence,” a living in the ‘now’ that is both intensely inspirational and practical. The power of now: When the pressures of future and past thinking disappear, fear and frustration also vanish, conquered by the moment. Stillness Speaks takes the form of 200 individual entries, organized into 10 topic clusters that range from “Beyond the Thinking Mind” to “Suffering and the End of Suffering.” Each entry is concise and complete in itself, but, read together, take on a transformative power. 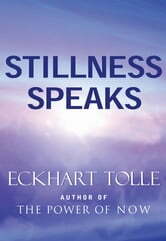 If you have read The Untethered Soul by Michael Singer, Buddha’s Brain by Rick Hanson, or other Eckhart Tolle books such as The Power of Now, you will want to own and read Stillness Speaks. Every word in the book rings true. It is a great book to carry along as a companion, as a reminder of the present moment and very convenient to read each para in between daily tasks. Food for thought, a helpful guide for those struggling with the torment of this fast paced existence. Pure and honest and a reminder for those of who do recognise the "here & now" of who we are and "where we are"
This is the type of read you have to come back to because some concepts are difficult to grasp. Overall it was a decent book and helpful.